In this text, the physicist Paul Davies gives an account of the quest for a superforce which will explain how the universe is put together. The book describes the bewildering array of subatomic particles that have been discovered in recent years and how their properties form abstract patterns. Many scientists believe we are on the verge of a "Theory of Everything" - a complete unification of all the fundamental forces and particles of nature. 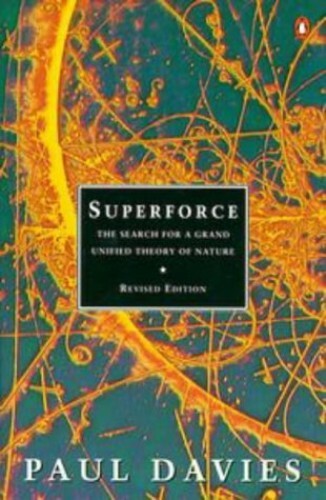 In this book, the physicist and author Paul Davies gives an account of the quest for a superforce that will explain how the physical universe is put together. The book describes the bewildering array of subatomic particles that have been discovered in recent years, and shows how their properties form abstract patterns and mathematical symmetries, hinting at deep linkages. It explains how the forces that act between these particles may require the existence of unseen extra dimensions of space, and why the latest bizarre theory suggests that the basic entities out of which all matter is built may not be particles at all, but strings. Aimed at the general reader, this account shows that a unified theory may be within our grasp, and that a single superforce may acmcount not only for the nature of matter, but even for the manner in which the universe came into existence.